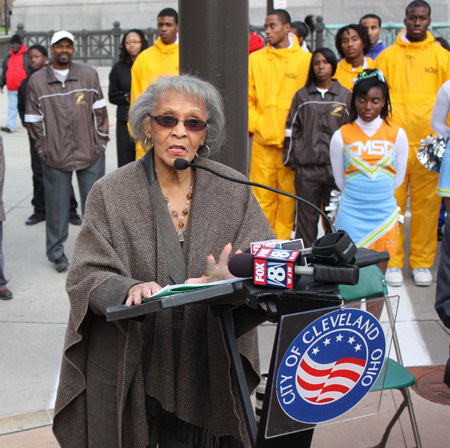 The Nazi Olympics Berlin 1936, now showing at the Maltz Museum of Jewish Heritage in Beachwood, explores the issues surrounding the 1936 Games--the Nazis' use of propaganda, the intense boycott debate, the history of the torch run and the historic performance of Jesse Owens and more. 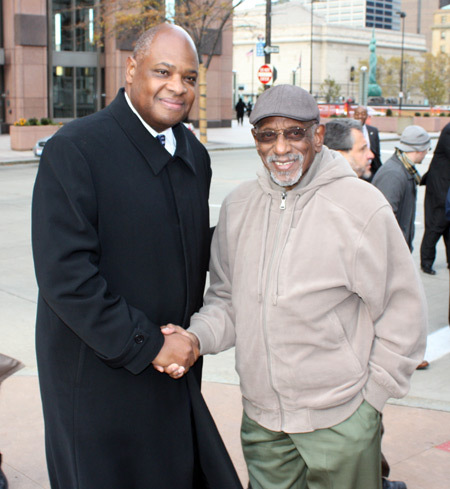 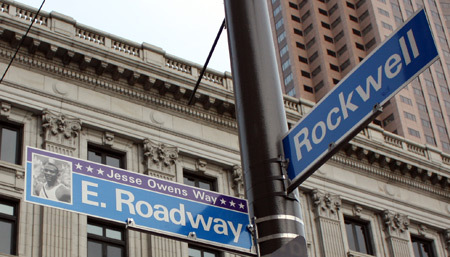 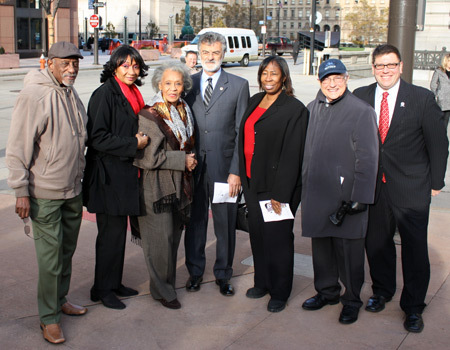 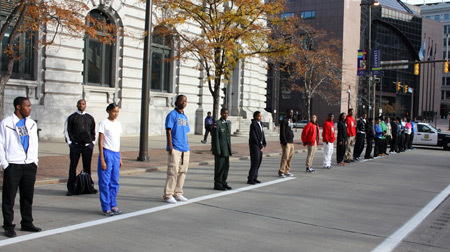 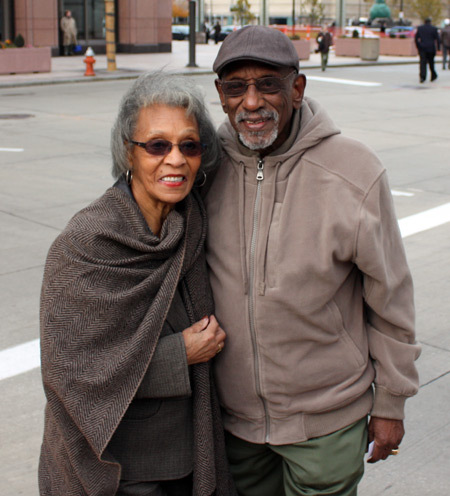 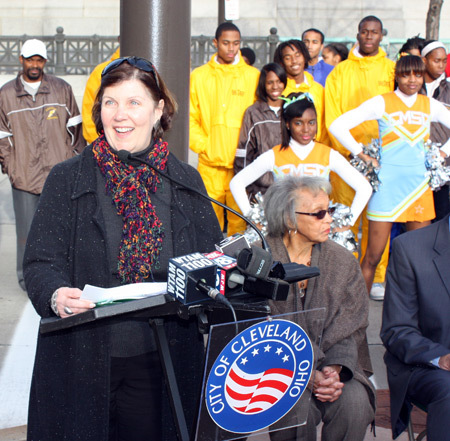 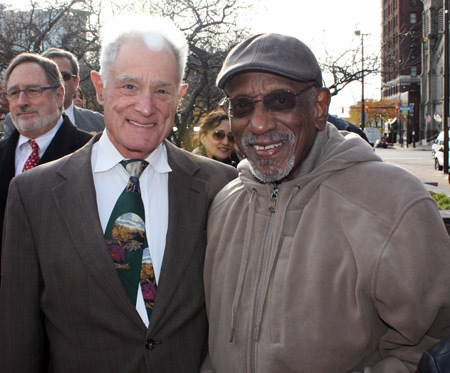 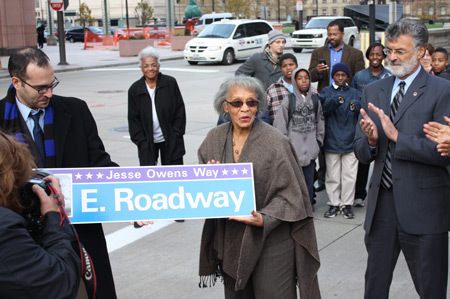 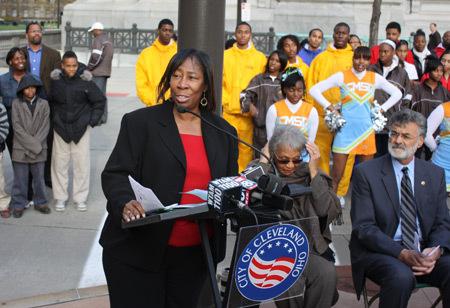 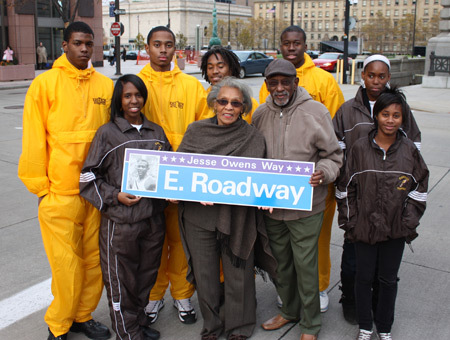 On Monday, November 15, 2010 a ceremony was held to dedicate East Roadway (NE corner of Public Square) as Jesse Owens Way. 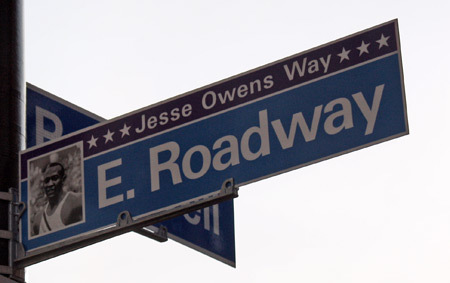 Already a track star for his accomplishments at Cleveland East Tech High School and the Ohio State University, the 1936 Olympics in Berlin made Jesse Owens a household name and a symbol who shattered Hitler's racist ideals. 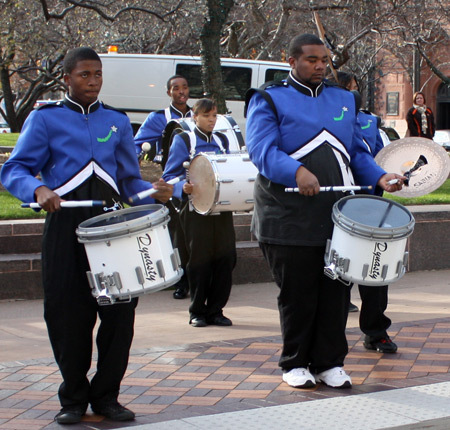 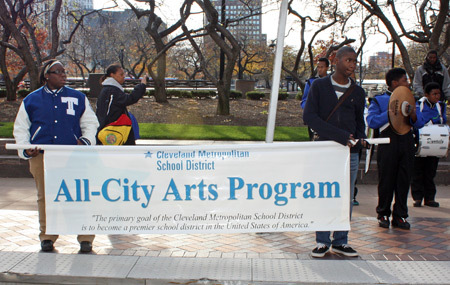 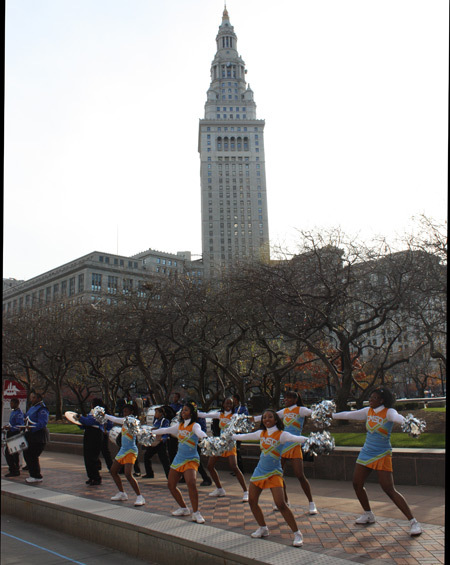 The ceremony began with performances by drummers and cheerleaders from the Cleveland Metropolitan School District. 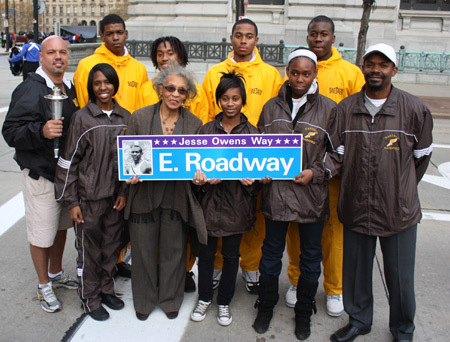 Then a lit Olympic torch was passed from student to student down the street until it was handed to Gloria Hemphill Owens, the daughter of Jesse Owens. 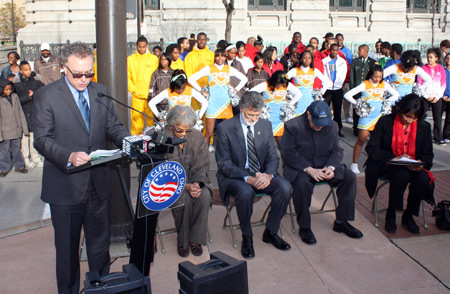 The opening prayer was said by pastor Mark Giuliano of Old Stone Church. 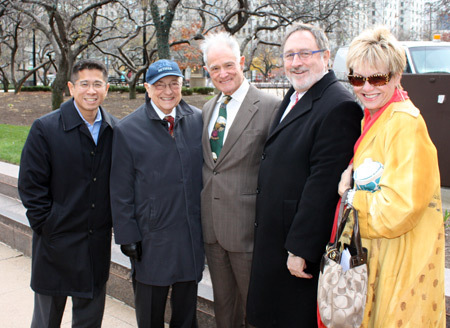 Judi Feniger, Director of the Maltz Museum of Jewish Heritage, gave the welcome and introductions. 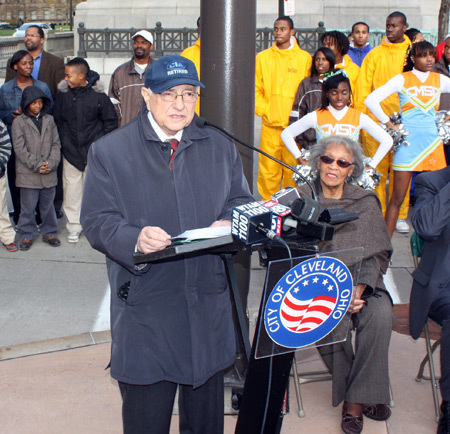 Then Museum founder Milton Maltz spoke. 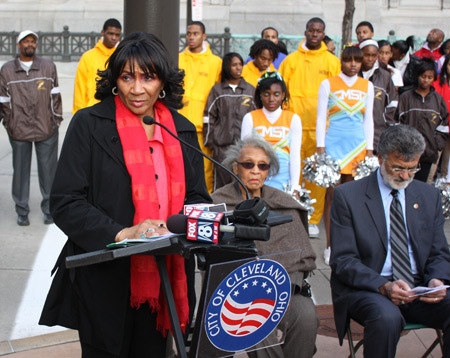 Cleveland Council representatives Phyllis Cleveland, Mamie Mitchell and Joe Cimperman addressed the crowd. 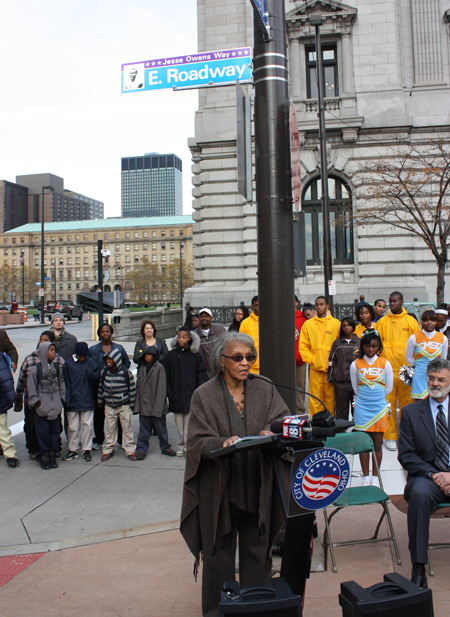 After being presented with a street sign honoring her father, Gloria Owens spoke. 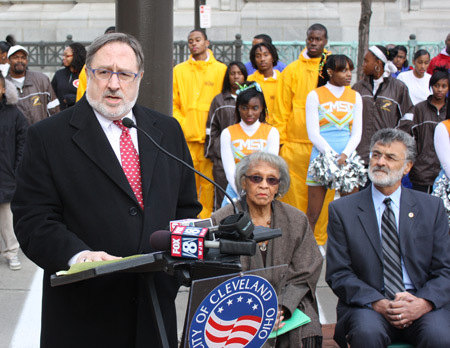 The closing prayer was by Rabbi Richard Block of The Temple - Tifereth Israel. 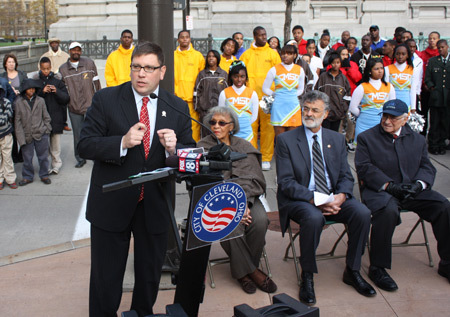 Be sure to visit the The Nazi Olympics Berlin 1936 at the Maltz Museum. 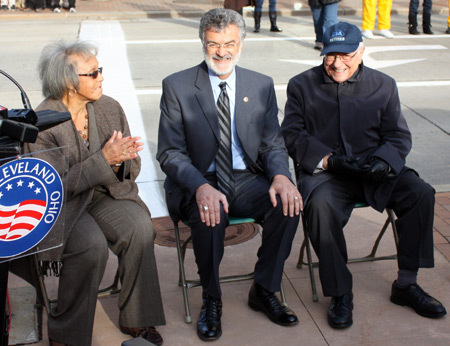 Enjoy these photos from the special day.